Detailing the physical features, habits, territorial reach and other identifying qualities of the Repetitive Tachinid Fly. What the Repetitive Tachinid Fly lacks in looks, it makes up for in ecological importance. Many might not believe that flies are an important member of an ecosystem. Hairy little Tachinid flies, though somewhat unusual in appearance, are considered important biological controls. Each species is a parasitoid for a type of moth. Moths can be destructive to plants thanks to the voracious appetites of their caterpillars. A insect like the Repetitive Tachinid Fly helps keep caterpillar numbers in check, sparing food producing plants. 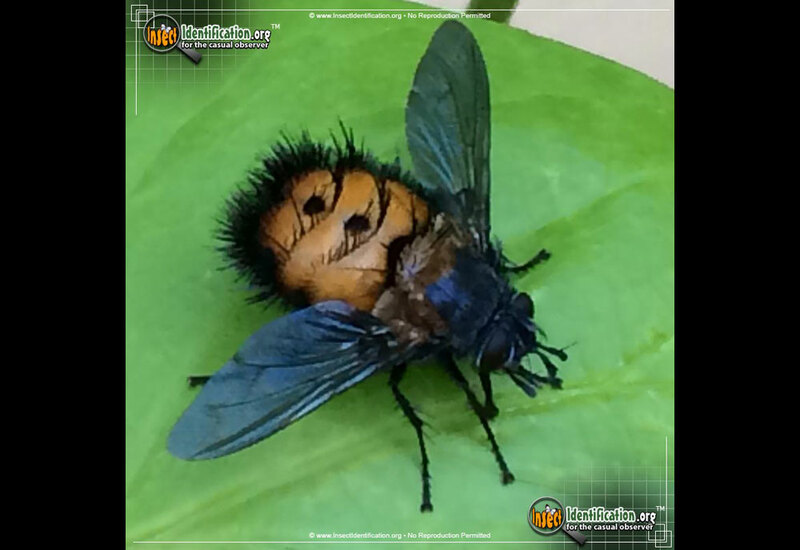 This orange fly has spiky, black hairs around the sides and rear end, and a few that cross the body. Black dots form a row down the middle of its body. The face, head, legs, and wings are black. Female flies lay a fertilized egg either directly on, or in front of, a hungry moth caterpillar and is consumed. The egg hatches and the fly larva, called a maggot, proceeds to eat the caterpillar to death, from the inside. This makes the fly larva a parasitoid, unlike a parasite which moves on to another host before killing its current host. Adult flies drink flower nectar, especially from asters and their plant relatives. They are most active from summer and into autumn and can be found in a variety of habitats like woods, open fields, marshes, coastlines, meadows, parks, and forests.